Art is most appreciated when it's held in your hands and admired on your walls. It's wonderful living in a digital age where it is easy to share your images via social media. But don't leave your beautiful images stored on your computer. Print them and pass them down to your family. They will appreciate it more than you know. THIN page prices. All albums come with 10 spreads. 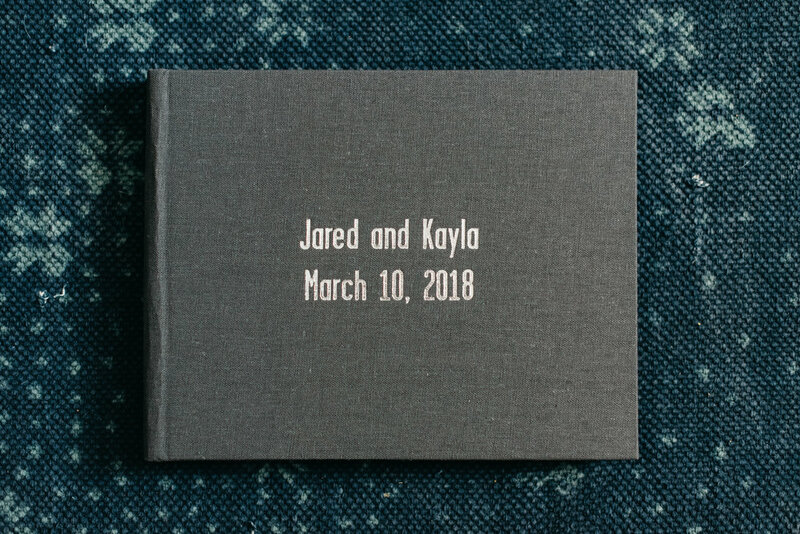 Clients usually order an album with 15-20 spreads. 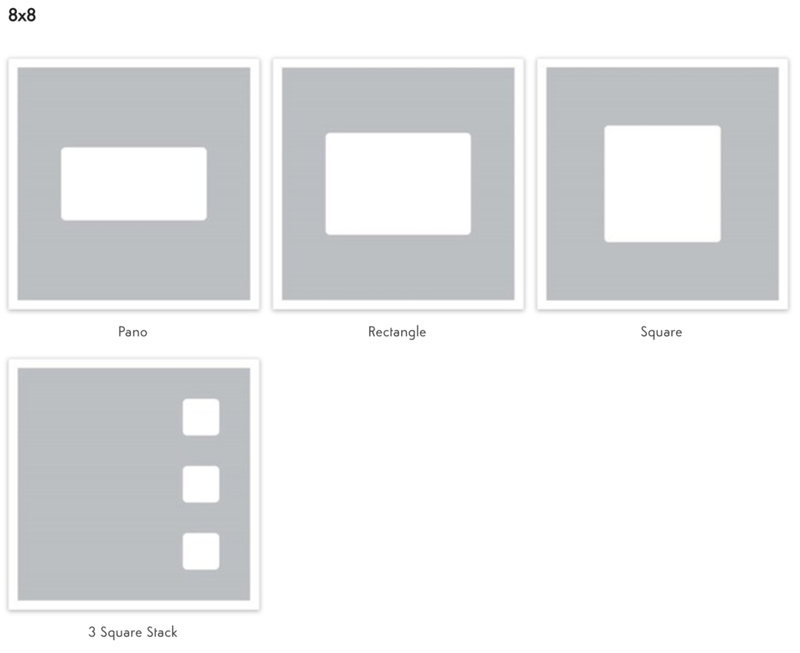 Albums come with 10 spreads (20 sides - page 1 and page 2 indicate "sides") with the option of adding on more spreads for additional cost. Additional pages can only be ordered in spreads. Meaning, you can't order one extra page, instead you have to order an additional spread. Prices for additional spreads above. Albums do not come printed with page numbers as seen above! This is for example only. 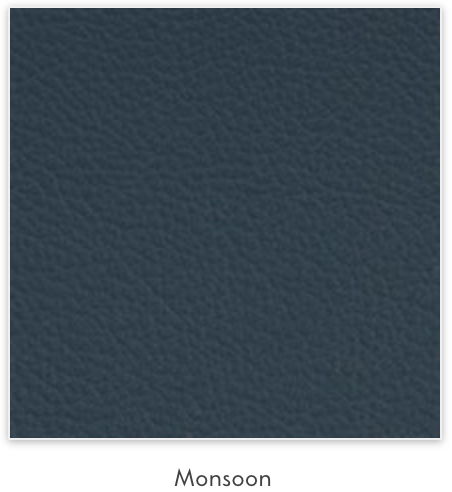 Cover texts are only available for the Standard, Metallic, Distressed and Pearlescent leathers, and Linen covers. There are two types of cover text, Foil Stamping and Debossing. See below. Option one: Foil Stamping - Add foil stamping in Black, Copper, Gold, Matte Gold, Granite, Silver or Matte Silver to Standard, Metallic, and Pearlescent leathers. Choose from Alana Pro or Garage Gothic font. 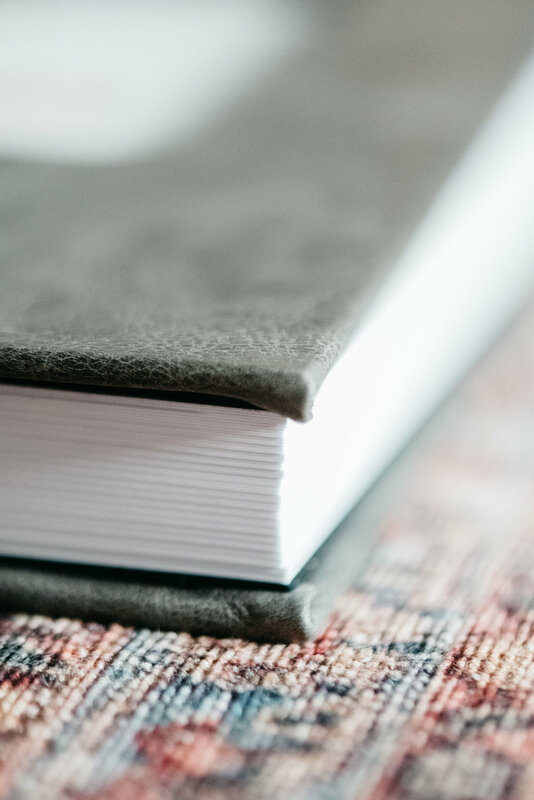 Inside back cover options: Up to three lines of text, lower center of cover only. 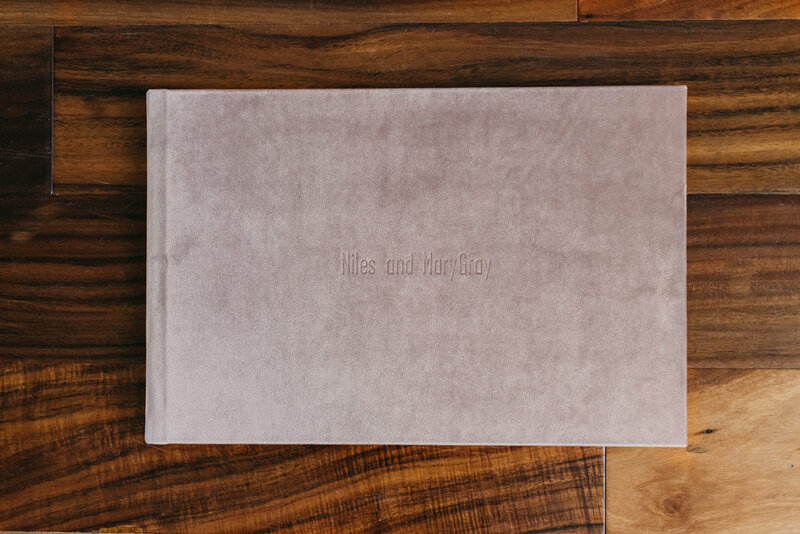 * Front cover foil stamping is only available for Standard, Metallic, and Pearlescent leather covers, and cannot be added to Cameo covers. Inside back cover stamping is available for all cover types. 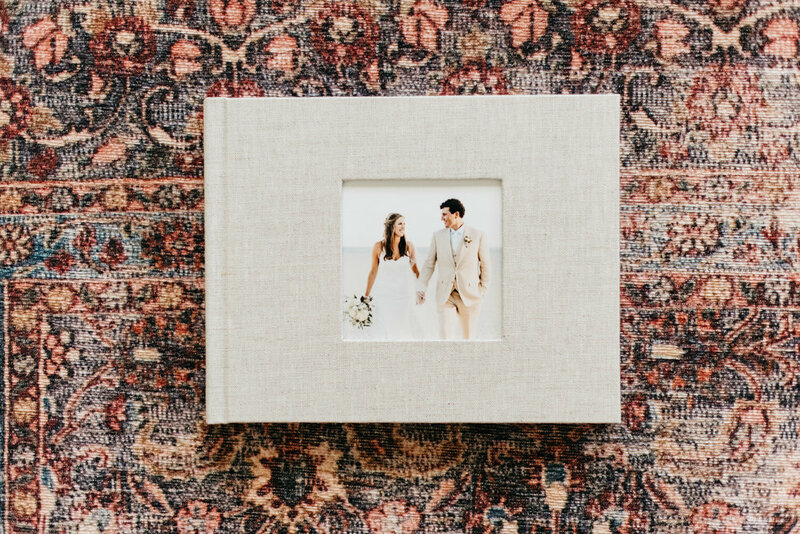 Option two: Debossing - Choose a sentimental title and add a date to the front center of your cover with up to three lines of text. Select Dessau Pro or Garage Gothic font, in Blind (no color), Black, Copper, Gold, Matte Gold, Granite, Silver or Matte Silver for Standard Leather, Distressed Leather, Metallic Leather, Pearlescent Leather, and Linen covers. *Debossing is unavailable for Cameo covers. 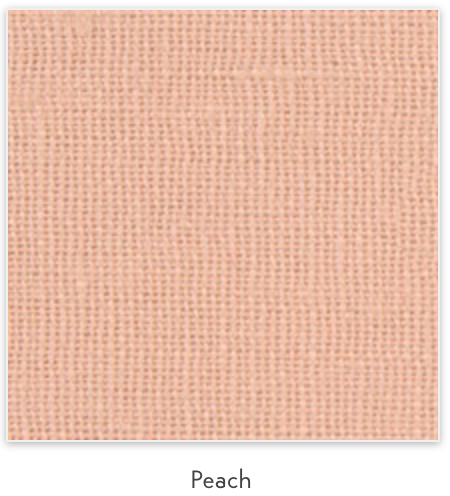 If you choose this cover option, please make sure to choose a leather or linen option to go with it above. Would you like to select the images for your album or allow Roxanne to select the images? 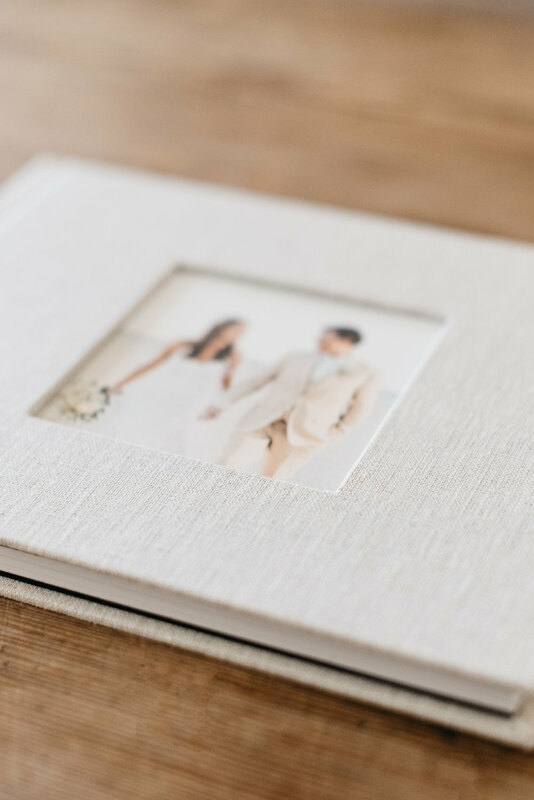 If you see any undesired images in your album you can switch them out during the revision process. *Selecting images for your album involves you "favoriting" each image from your online gallery. Thank you so much! After receiving this information, I will begin designing your album. If you have any questions, please let me know! *Don't forget that included in the purchase of your album is a complete album design by me and two complimentary revisions. Along with a Graphite Album Box to hold your stunning album.